When you are lost on what to do with your scrap vehicle, give Cash for Cars Blacktown a call. We are expert car wreckers that wreck much more than cars. We wreck trucks, vans, SUVs, 4WDs, utes and Suvs. Our cash for cars Blacktown offers is likely more than you’d expect to be worth on a damaged vehicle. We do more than just pull the parts that are salvageable; we recycle 100 percent of the car. We accept every make, model, age and condition of a vehicle and pay up to $9999 instant cash. We are your local nearby car removal company who offers top cash for cars services near you. The car removal is always free. Just give us a call at the number below. Why Choose Car Wreckers Blacktown? Cash for Scrap Cars Blacktown is a great convenience to vehicle owners that need to scrap their unwanted car, truck, van, SUV, 4WD, ute or motorcycle. We are a company that handles thousands of scrap, accident, wrecked and junk vehicles yearly, and we do so in a completely eco-friendly manner. Our eco-friendly manner to dispose of vehicles is recycling the vehicles 100 percent. All those non-working parts and rusted metal will be recycled and formed into new parts and metal. These green recycling principles of ours, allow us to put the maximum value in your hand at the time we remove your vehicle. Our car wreckers are experts, and the transaction of selling your vehicle to us couldn’t get easier. 1. Contact us at 0449 198 516. Vehicle owners can also obtain an instant cash offer by filling out our “Instant Appraisal” form located on this page. We do ask that you be honest and thorough as to the condition of your vehicle. 2. Let us know if you’d like the cash offer. If so, we’ll schedule a car removal. Our car removals Blacktown are offered 24 hours a day. Vehicle out of your yard within the day. We don’t make you wait around for us to recycle your vehicle and sell the reconditioned parts and metal. We bring our instant cash offer with us at the time we pickup your vehicle. 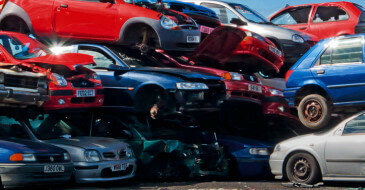 Our car wreckers are the best in the business and recycle thousands of cars yearly. Whether your vehicle will be heading to the car wrecker or being resold, we will offer instant cash for cars to remove your vehicle. Our cash for wrecked cars are always fair and always put good cash in your hand. We are the expert wreckers and Car Buyers that are successful in the industry and have built a reputation of long payouts. Buying cars is our business, and we are in business because we do offer fair instant cash offers. Getting cash for your car is simple when you give us a call for a free car removal. See for yourself. Contact us today. To get a fast and fair appraisal of your unwanted vehicle of any condition, give us a call. We are a car removal company that offers the best in car removals. We only ask for a thorough description of your vehicle and we can buy your unwanted car, truck, SUV, van, 4wd, ute or motorcycle here online or over the phone. Awesome service! Cash for cars Blacktown give me wonderful services for my car Nissan Car. I got great services from Cash for Cars Blacktown. They helped me with getting the lowest possible payments for my Toyota car. My experience with Cash for cars Blacktown was great. I highly recommend Cash for Cars blacktown if you want good deals for your scrap car, and quality service and product. Copyright © 2019 Cashforcarsblacktown. All Rights Reserved.